You’re already documenting student learning outcomes, program effectiveness, and quality enhancement initiatives for accreditation. But what about faculty qualifications? 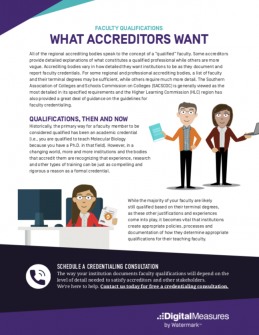 Our “What Accreditors Want” guide shows your accreditor’s requirements, so you know where to start.